Ashtanga Vinyasa Krama Yoga and Beyond...at home : Underwater Yoga on Bhaya kumbhaka and Krishnamacharya's one kumbhaka vinyasa. 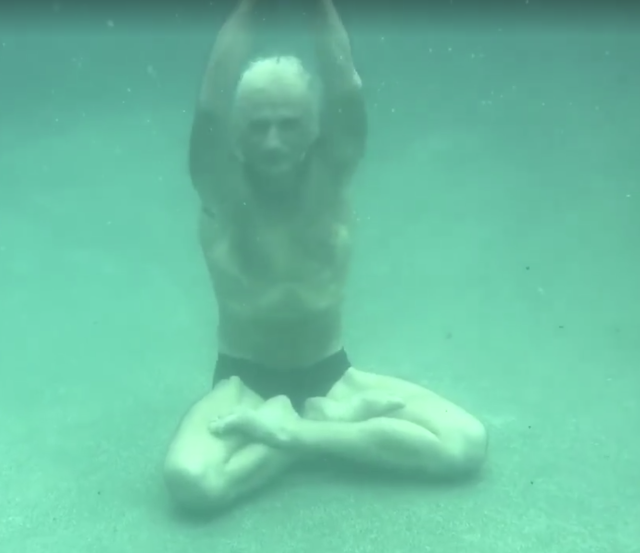 Underwater Yoga on Bhaya kumbhaka and Krishnamacharya's one kumbhaka vinyasa. Part 2 Krishnamacharya's one kumbhaka vinyasa. The video isn't on youtube but you should be able to see it on this post. 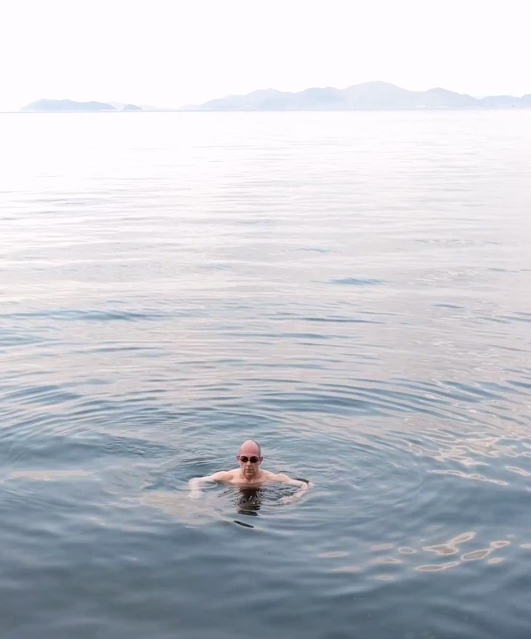 Living as I do on the shore of Japan's four million year old Lake Biwa, I couldn't resist trying it myself. The trick here is exhale fully, which allows you to sink to the bottom where you can then attempt the sequence on bahya kumbhaka (ceasing of breath when the exhalation/Rechak is complete). This ties in nicely with the work I've been doing recently on Simon's Introduction to breath control (pranayama) course See THIS LINK to my review of course ( and this to the course itself http://simonborgolivier.com/breath-training-for-health-and-longevity/). Above a one minute inhalation, the trick is to visualise the inhalation back and forth up the body while trying to stay as relaxed as possible. ...., in another, exhaling for thirty seconds, in a third, Antar Kumbhaka (ceasing of breath when the inhalation/Puraka is complete) for thirty seconds and in a fourth, bahya kumbhaka (ceasing of breath when the exhalation/Rechak is complete). 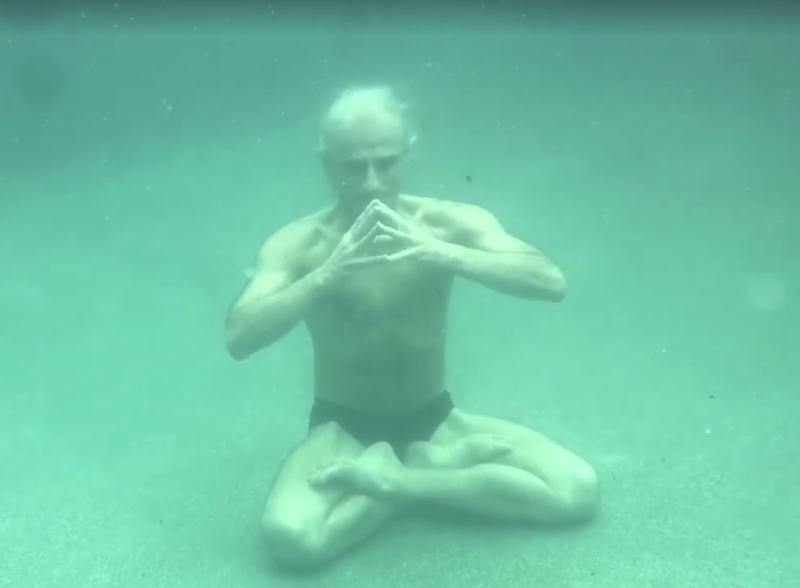 In Simon's underwater spinal sequence video he is practicing the sequence on a minutes bahya kumbhaka, it's challenging. I can manage a three minutes Antar Kumbhaka at a push but ceasing to breathe for a minute after exhaling is at my limit, let alone trying move through a sequence and stay sitting on the bottom of the lake in padmasana. Simon takes this further and has a wonderful video and post on underwater yoga on his blog. Simon's father was a free diver, he could swim a length below the surface before he could swim the same on the surface, probably before he could walk. I've just been down to the lake to try this out and had the best time. 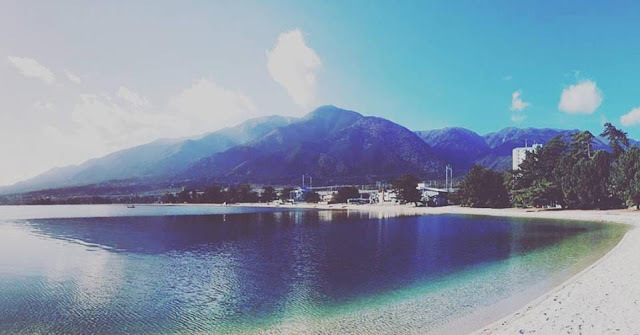 It's a beautiful day here in Shiga, the rainy season is yet to start and I have the beach to myself as usual, the lake is a little cold though, I'm looking forward to July. "In my late teens my Tibetan Lama told me that traditionally (in the system he learnt) that postures where help for a long as one breath retention. So progressively I developed my underwater yoga practice know finding it the easiest place to hold the breath and be in a pose. 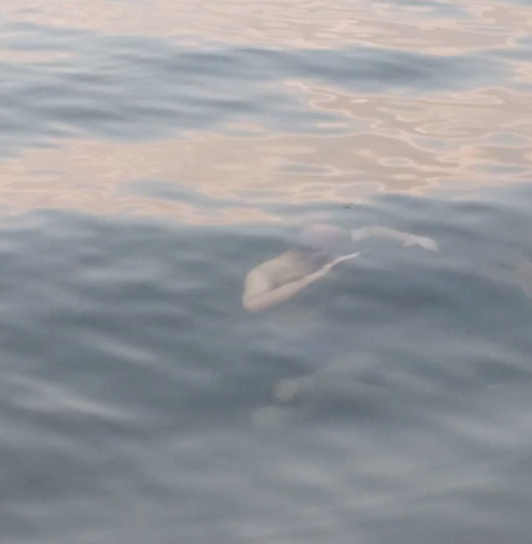 In this practice I take a breath in, hold my breath, go underwater and get into a posture, hold for some time floating just under the surface, then exhale fully and sink down underwater (to the bottom if it is not far!) and hold my breath out and perform uddiyana bandha, mula bandha, nauli and lauliki (rolling my abdomen with my chest expanded etc). Then, I swim to the surface (often still in pose such as the lotus as in the video here) and when I break the surface I inhale to begin the next posture. I regularly practice a 30 minute sequence of up to 30 postures in this manner". It was only really in dandasana, baddha konasana and padmasana that I stayed for around thirty seconds, the others were perhaps fifteen to twenty as I had the bind to worry about. Practice this morning: a swim in place of sun salutations, standing sequence in the water, Primary series up to upavishta konasana (which doesn't seem to work) under the water - bhaya kumbhaka ( ceasing to breathe after the exhalation) while mentally chanting the pranayama mantra in every posture. (Note: peg on the nose for folding forward) Back to the tatami room for finishing - until I'm more used to the sun. This may well be my summer and make up for working nights. Update: I was asked on Instagram how you can practice Ashtanga underwater....should you want to. Exhale fully, allows you to bend over underwater in standing (with the help of a peg on the nose) . Again, exhale fully to drop to the bottom and fold into the pose or the bind. Hold it for 20-30 seconds ( I mentally Chant the pranayama mantra), come up to the surface between sides or postures. It works, was a nice practice this morning. Also, Krishnamacharya indicated bhaya kumbhaka ( ceasing to breathe after the exhalation) in most primary asana in Yoga Makaranda ( Mysore 1934). Observation: Richard Freeman talks about giving a little extra puff in his pranayama course, to push out the last of the air and automatically engage bandhas. 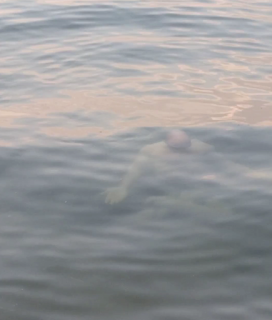 Getting rid of that last puff of the air helps ground you on the surface of the lake. That puff is almost automatic in twists if you allow it. Re twists, mostly Krishnamacharya doesn't mention kumbhaka on twists, preferring instead to indicate long slow equal inhalation and exhalation, except for a clear mention of kumbhaka for Bharadvajrasana. Also, the movement of the water raises challenges for the posture which are interesting to overcome, likewise challenges for the breath, the kumbhaka and Bandha work but mostly, it's just beautiful and serene there in the lake with the sun breaking through the surface. "In my late teens my Tibetan Lama told me that traditionally (in the system he learnt) that postures where help for a long as one breath retention". This reminded me of something that's played on my mind for some time. In Ashtanga we tend to stay in a posture for five breaths, it used to be eight or ten back in the day supposedly but now it tends to be five, these can be pretty speedy.... Sharath for instance takes about fifteen seconds for five breaths on his dvd's and led classes (just double checked on his Moscow led for paschimottanasana). That's three seconds a breath, one and a half seconds each for inhalation and exhalation. In interviews/talks Pattabhi Jois would speak of fifteen, even twenty seconds, each for inhalation and exhalation as an ideal ( but then lead his demonstrators though there asana just as fast as Sharath), he recognised that householders didn't have time for such a slow practice but perhaps he over compensated. NOTE: If I follow a led Ashtanga DVD or class I tend to take one or two slower breaths to the count of five, works for me. "(for paschimottanasana) Next, doing rechaka, grasp and hold the upper parts of the feet; this is the 8th vinyasa (as your practice becomes firm, you should be able to lock your hands behind your feet). Then, doing puraka slowly, then rechaka, straighten both legs, and place the head between the knees; this is the 9th vinyasa and the state of the asana. While in the state, do puraka and rechaka slowly and deeply, as much as possible". Yoga Mala -Pattabhi Jois. In Ashtanga then we have mention of a number of breaths, whether, ten, eight, five or, as in Yoga mala, breathing as much as possible. "....that postures where held for a long as one breath retention". 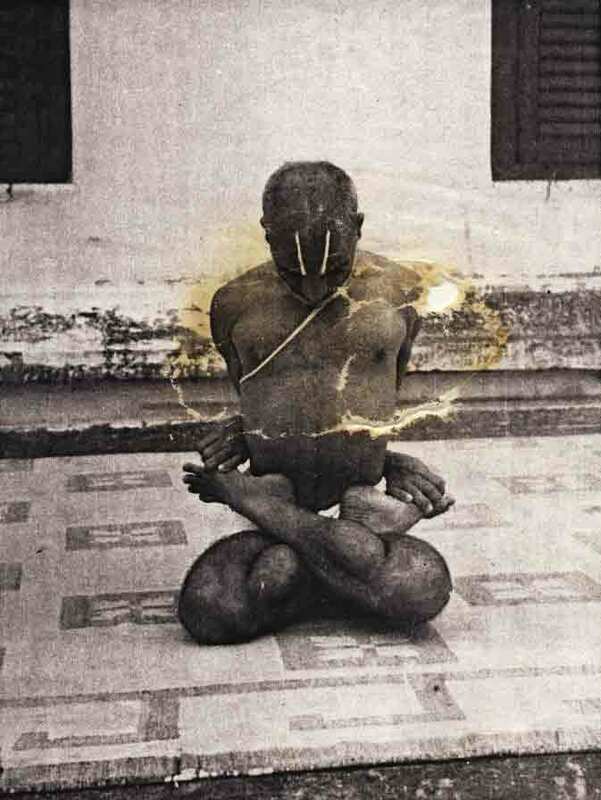 What Krishnamacharya does talk about is TIME with regards to certain key asana that are held for a longer. He recognises that one might not be able to stay in kumbhaka for five minutes ( thank you for that K.) so suggests coming out of the posture, taking puraka (inhalation) then re entering the asana. For Krishnamacharya there are a few key asana he would have you stay in for a significant period, ten minutes or so E.G. Paschimottanasana, Maha mudra ( of which janu sirsasana is it's asana), Sarvangasana, Sirsasana, also trikonasana, mayaurasana. baddha konasana. But in other asana, is Krishnamacharya suggestion we stay in the asana for one (extended) kumbhaka? If we remember that Krishnamacharya was supposedly in Tibet with his teacher, even if not for as long as legend suggests, might he have been influenced by this suggestion of one asana one Kumbhaka, that may or may not have characterised tibetan yoga? We would need more evidence, does one asana/one kumbhaka really characterise Tibetan yoga, is this indeed what Krishnamacharya was suggesting back in Yoga Makaranda? It was carried forward into Jois' Ashtanga vinyasa, perhaps Krishnamacharya never taught it to the young boys of the practice, perhaps it was only how he practiced himself. In Ramaswami we see both time and count, stay for five breaths, or , in the same key asana, stay for ten minutes. Kumbhaka was retained in Krishnamacharya's later teaching but there doesn't seem to be the suggestion of one asana/one kumbhaka, did he consider it too challenging for most students ( at this time many of Krishnamacharya's students were patients) ? Just as I lost interest in Advanced asana after briefly practicing Ashtanga Advanced A and B, I lost interest in all the different pranayamas teachers would offer, they seemed a distraction, better to settle on Ramaswami's presentation of nadi shodhana and do more rounds rather learn and practice these endless variations. And yet I was impressed by Simon's post on free divers (https://yogasynergy.com/blog/pranayama-at-its-highest-level-in-the-practical-sense-william-truebridges-world-record-free-dive-to-124-metres-with-only-one-breath/), on how free diving is all about relaxing...., and isn't that (one of) the objective of pranayama, calming the emotions, overcoming the growing sense of panic in bhaya kumbhaka, the fear of death. And so with Simon's introduction to breath control I've been working on increasing the length of my inhalation and exhalation, of my kumbhaka's, not to ridiculous levels but longer than I might have considered in the past. Not so much for my pranayama practice, I'm happy with the nadi shodhana I practice, but for the kumbhaka's Krishnamacharya mentions in his asana. Besides, Krishnamacharya talks of seeing god in the kumbhaka, kumbhaka is the infinity between two points, the two stages of the breath. Do we find god or the absence of god, it seems more worthy of exploration than yet another handstand variation. 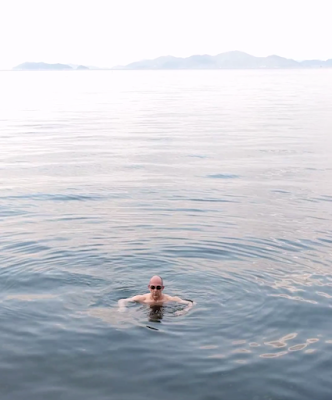 Come to Shiga, Japan, enjoy the beach, the sushi and explore your shapes underwater. 10hrs Traditional YOGA shape making (on sand). 5hrs Traditional shape making (under the water). 5hrs Study of Ashtanga series cheat sheets (home study). 25hrs Tanning and Toning techniques, both artificial and SUN SUN SUN. 30hrs Photography for social media. 10hrs Underwater video streaming skills. 10hrs Chakra and Chanting of Classic Beach Boys mantras. *includes, sunburn, chaffing, blisters, cardiac arrest. COST: Contact us at SPLASHTANGA™ for pricing details, please include your last three bank statements. like you exhaled and b) chest and stomack barely moving. is fun, and so it "came back" to my sense. This leads to above guessing. they do it in similar way (stomack pulled in and slow breath). much. But is there any noticeable/known health benefit for one breath? What, an Ashtanga class doesn't have a theme? What is Ashtanga (to/for you) ?